Eyelineher has only gone and got itself a YouTube channel as User 'EyelineHerBlog'! Here you can subscribe direct to my tutorial videos. There's now also a brand-new Twitter feed where I'll be posting updates and generally chatting. 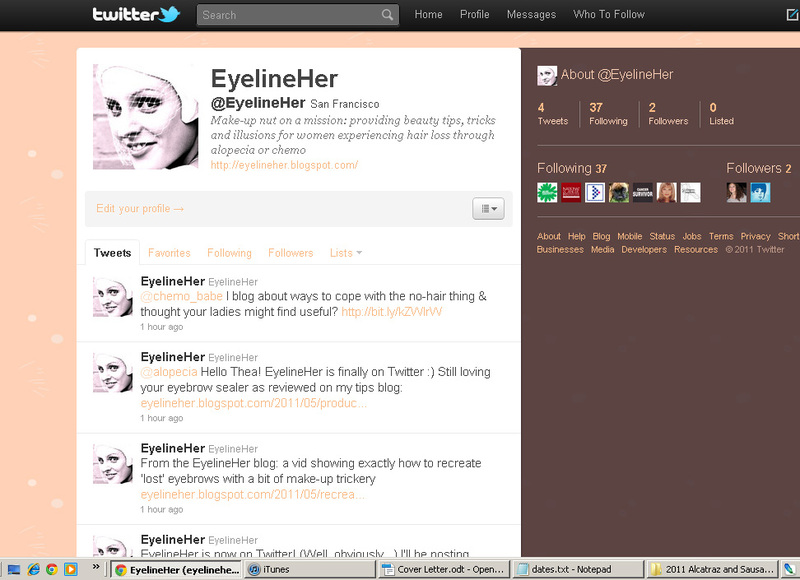 Come and say hello - I'm @EyelineHer! I like this post.It looked fascinating and I chose to investigate each substance and I read yours. My compliment about this blog is exceptionally positive I visit this blog first time and inspire by this good stuff work. Incredible post keeps up posting such great information. You can use this OOH ERP for any kind of academic writing work. As you buy free youtube likes from Viewgrip , you are getting appreciation for your video which taken as trust factor and attracts more people. If your video is about an iPod for instance and someone typed these words into the YouTube search box your video may show up in the search results. Then again it may not. It's extremely coherent and profoundly savvy. A Great post!! Thanks man to give us a useful review you're just great https://twitter.com/darrenwinters01 Really impressive !! Although it helps you win friends, it is not a good base. You have to publish very original and very funny videos. The link can be made in several ways.best site for youtube views go here and see how people posts their videos..